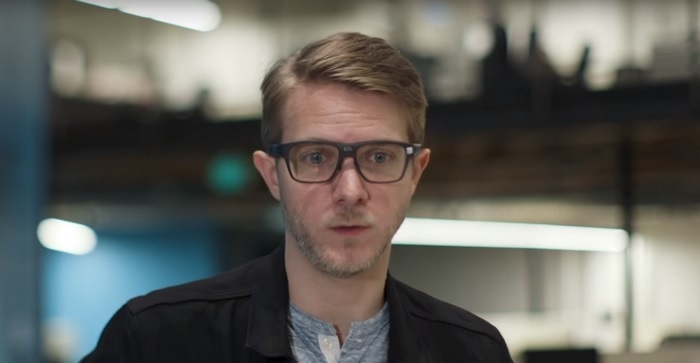 Talk about smart glasses and the first image that comes to the mind is a weird-looking, heavy eyewear which appear to be a nerd’s unfinished college project. Intel is intent on changing that and is vying to make smart glasses look like normal spectacles with its ‘Vaunt’ smart glasses. Intel showcased the Vaunt smart glasses exclusively to The Verge’s Dieter Bohn, and here are the key takeaways from his experience with Intel’s smart glasses. But before we delve into the technical details, let’s just take a minute to appreciate how minimalist and stylish the Vaunt smart glasses look. The Vaunt smartglasses look just like a simple pair of glasses that you can wear effortlessly to work or college, and they are black, so you get some fashion creds too. The whole premise of Vaunt is to be less intrusive, so it won’t bombard users with a steady stream of pesky notifications. Instead, they will pair with your Android or iOS device via a companion app over Bluetooth, and will only display contextual information, thanks to a behavioral AI engine. So, what’s truly unique about Intel’s Vaunt smart glasses? Well, the lack of a camera and the core optical technology for starters. The Vaunt smart glasses utilize a low-power VCSEL (Vertical Cavity Surface Emitting Laser), a red monochrome projector which projects light on a holographic mirror with gratings (for reflecting the correct wavelength) embedded in it to reflect the light falling on it on user’s eyeball. This creates the perception of an image on the retina, and thanks to the direct optical mechanism, even users who wear prescription eyeglasses will be able to read the notifications with utmost clarity. The images are reflected from the lower part of the glass, just below the line of sight, so as soon as you look anywhere else, the notifications disappear almost instantly. There are no swiping, tapping or any other form of gestures, just subtle eye motions to open notifications, read information and dismiss them for minimal to no distraction. However, one has to get the glasses custom fitted to adjust the interpupillary distance of each person’s eyes for optimum efficiency. And just in case you were wondering, the Vaunt smart glasses will be available in various styles. But there is one slight catch. Vaunt is a prototype project, and will only be made available to developers later this year when Intel opens the early access program. Whenever the Vaunt smart glasses hit the market, one thing is for sure, they are poised to disrupt the whole genre and make a big splash with their unique technology and appeal.